Abrams: Oh! I see what you’re saying. Well, I’m open to anything. We’ve had some really interesting discussions so far but, you know – you have to be open to everything to find the right thing so the answer is sure, I’m open to that. I think in a story it’s important to personify, somehow, what you’re up against so it’s a tricky one to figure out how to, like, fight evil wind! (evil look for emphasis). At issue: do they create a fresh plot with never-before-seen characters and scenarios or — because young Kirk and Spock are now part of an alternate timeline where the past has been altered — do they introduce 2.0 versions of such popular villains as the Klingons or Khan? Orci recognizes each approach has its own merits. Rebooting familiar elements appeals instantly to fans and attracts the attention of “the media-sphere,” as he calls it. Meaning that if you cast, say, Javier Bardem as the new Khan opposite Chris Pine and Zachary Quinto, you’ve automatically excited fans and attracted the attention of the moviegoing public. Using the Klingons makes sense as they were frequent enemies in past television episodes and movies. There has been a lot of speculation about retelling the stories with Kahn but there is less point in this. Kahn was the villian in one television episode of Star Trek and returned for one of the movies. I would rather see a new story than to retell the original television episode, and the movie with Kahn takes place far later in Kirk’s career. 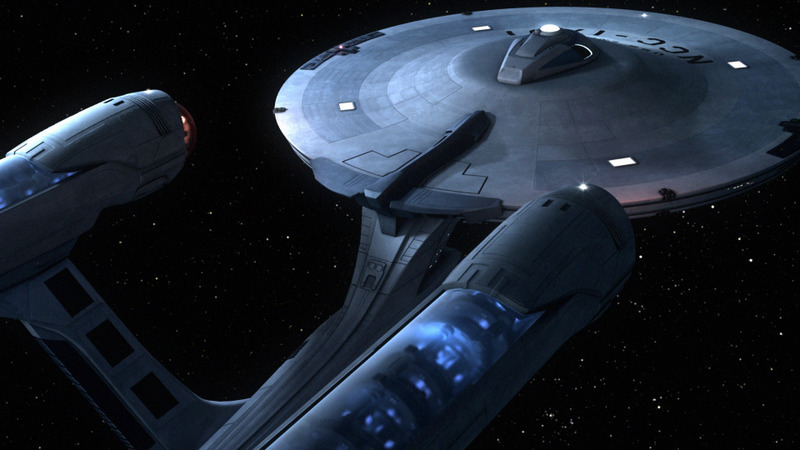 …co-writers Roberto Orci and Alex Kurtzman tell io9 the next film could feature one of Trek‘s most iconic women. Yeoman Janice Rand, with her imposing blonde beehive, only appeared in a handful of Trek episodes before disappearing (reportedly because star William Shatner wanted Kirk to have more the opportunity to mack on different women every week.) But since she has a fairly major role in “Charlie X” and “The Enemy Within,” she’s always stood out as one of the most significant female characters on the show, up there with Uhura and Nurse Chapel. Lost ended the fourth season with a lot of subplots to tie up. There are rumors that some of the characters who died will be returning. This could be in flashbacks or could be a consequence of the atomic bomb which might have changed history. The Hollywood Reporter says that they will be adding another episode on to the final season. In an interview with Esquire magazine, Radcliffe risked the US box office prospects of the new Harry Potter film by declaring himself to be an atheist. In a pronouncement that will dismay America’s religious Right, which has long voiced suspicions about Potter’s “anti-Christian” message, the 19-year-old actor said he did not believe in God. He also expressed his admiration for Professor Richard Dawkins, the prominent atheist and bete noir of Evangelical Christians. JK Rowling’s stories of the schoolboy wizard are taken very seriously by some Evangelical Christians in the United States. One of the largest Christian groups in the country, Focus on the Family, denounced the books as “witchcraft”. Conversely, the Church of England published a guide advising youth leaders to use Harry Potter to spread the Christian message, as the characters face “struggles and dilemmas that are familiar to us all”. Prof Dawkins, author of best-selling book The God Delusion, is no fan of Harry Potter, once remarking that tales of witchcraft are “anti-scientific”. Harry Potter does show a world in which magic is used in ways which defy the laws of science, but this is presented as fantasy and certainly should not be taken as a claim for the validity of magic. Vince Vaughn, Jason Bateman, Jon Favreau, Malin Akerman, Kristin Davis, Kristen Bell and Faizon Love star in Universal Pictures’ upcoming comedy Couples Retreat. Based on an original idea of Vaughn’s, the comedy follows four Midwestern couples who embark on a journey to a tropical island resort. While one of the couples is there to work on their marriage, the other three set out to jet ski, spa and enjoy some fun in the sun. They soon discover that participation in the resort’s couples therapy is not optional. Suddenly, their group-rate vacation comes at a price. What follows is a hilarious look at real world problems faced by all couples. Sarah Palin has never been a supporter of freedom of expression, thinking that the First Amendment was designed to protect her from criticism by the media. She also does not understand how to conduct damage control. Just when things seemed weird enough with her announcement that she is resigning, Palin made another blunder in response to the rumors that the resignation was motivated by rumored embezzlement charges. Palin’s attorney has threatened to sue the press if they publish the “defamatory” stories that she might be facing embezzlement charges related to the building of a sports complex in Wasilla. The threat, contained in a four page letter, presented the controversy over the funding of the sports complex from her perspective. This guarantees that, if they hadn’t already, the media will see this as a story. Presenting her side of the case also increases the chances that publications will scrutinize her claims for any discrepancies. The Los Angeles Times reports that the FBI’s Alaska spokesman has stated that Palin is not under investigation by the agency. This does not address rumored IRS investigations or the possibility that Palin resigned from office to prevent impeachment on ethics charges. With the large number of questions as to her ethical conduct in office and the irrational manner of her resignation, Palin is living in a different universe if she does not realize that her resignation will be taken by many as evidence of her guilt and as an attempt to limit further scandals. There is no word as to whether Sarah Palin will be taking any legal action against David Letterman or many other late night comedians who have mocked her over the past several months.